SAN FRANCISCO—At its public meeting on January 17, the Judicial Council will consider a recommendation that four additional courthouse construction projects in Sacramento, Los Angeles, Fresno, and Nevada City be delayed indefinitely if the Legislature directs that court construction funds—instead of money from the state’s General Fund—be used to finance the new Governor George Deukmejian Courthouse in Long Beach. The recommendations include delaying: a new criminal courthouse for downtown Sacramento, a new courthouse for the Southeast Court District in Los Angeles, and projects planned for downtown courthouses in Fresno and Nevada City. The recommendations include a special direction for the Sacramento project: a recommendation that site acquisition proceed for that project, a $10 million commitment to the developer of the Railyards that would allow the project to proceed as planned when funding becomes available. The Judicial Council already voted in October to indefinitely delay seven other construction projects due to ongoing redirection of construction funds to trial court operations. The new Long Beach courthouse is scheduled to open in August 2013, triggering the first of ongoing payments for the construction, operations, and maintenance of this facility. General Fund monies for this project had been planned since 2007. 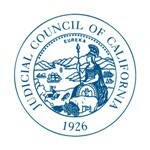 A live audiocast of the meeting will be on the California Courts website and the agenda and reports are posted online. Governor’s Proposed Budget for 2013-2014: The council will receive an update on the judicial branch budget, including a review of the Governor’s proposed budget for 2013–2014. Authorizing Remote Video Proceedings in Traffic Infraction Cases: The council will consider approving a pilot project authorizing trial courts to conduct remote video proceedings in cases involving traffic infraction violations. The proposal—submitted to the council by its advisory committees on Traffic and Court Technology—would help courts provide more access to court proceedings at a time when budget cuts are forcing them to reduce hours and close courthouses. The idea for the pilot project originated from the Superior Court of Fresno County, which recently had to close several of its court facilities because of budget reductions. Legislative Priorities for the Judicial Branch: Each year, the Judicial Council sponsors legislation to further key council objectives and set its legislative priorities for the upcoming legislative year. At the December 14, 2012, Judicial Council meeting, the council reviewed the Policy Coordination and Liaison Committee (PCLC) recommendations for the 2013 legislative session and approved all but one recommendation. The council directed PCLC to reconsider its recommendation that the council sponsor legislation to create 50 new judgeships in light of the fact that the previous set of 50 judgeships has not been funded. In light of this direction, PCLC has revised this recommendation to advise the council to defer action on judgeships until the following fiscal year. While the creation and funding of critically needed judgeships remains a branch priority, in the current economic environment, it is prudent for the council to defer action on judgeships at this time and focus on its other budget-related legislative priorities. Court Closures and Reduced Clerk’s Office Hours: Per its normal meeting procedures, the council will receive an updated report on which trial courts have been forced to close courtrooms or clerks’ offices or reduce clerks’ office hours on days that are not judicial holidays because of budget reductions. Since the last council report, the Superior Courts of Mendocino, San Bernardino, and San Joaquin Counties have given notice of closures or reductions. A complete list of notices and other information on budget cuts to the courts are available on the California Courts website.